Q&A: What is red switch on back of my PC labeled 120V/240V for? Question from Amir H.: I just bought a new computer and on the back is a switch labeled 120V/240V. What is this switch used for and do I need to change it? Thank you. Rick’s answer: Hi Amir. The switch you’re asking about is used to select the proper input voltage for the computer’s power supply unit (PSU). Q&A: Is there anything I can do to get my laptop fixed without the extended warranty paperwork? Question from Margaret L.: I have a serious problem Rick. I bought an HP laptop from Best Buy on February 6, 2012 and I also took the three year extended warranty. The laptop died and now I can’t find my receipt or extended warranty paperwork. Best Buy said there’s nothing they can do without the paperwork except send it off to HP for repair at my expense. Is there anything I can do to get them to honor the warranty I paid for? I’m just so frustrated right now. Q&A: Can I upgrade the RAM on my DELL Inspiron N5110 to 12GB by adding one DDR3 8GB RAM stick? 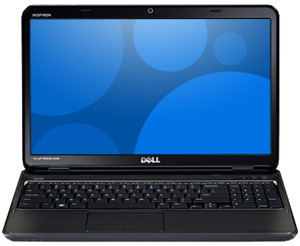 Question from Felipe G.: I have a Dell Inspiron N5110 laptop (Windows 7 – 64 bit) with a single stick of 4GB RAM installed from the factory. I checked and there is one empty memory slot in this computer. Can I upgrade the RAM to 12GB by plugging a single 8GB DDR3 RAM stick into the empty slot? 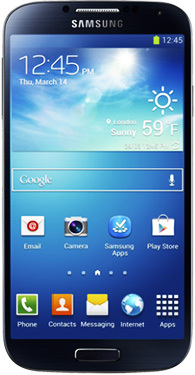 Q&A: How do I turn off the keyboard sounds on my Samsung Galaxy S4? Question from Miranda P.: Hi Rick. I just bought a Samsung Galaxy S4 and I love it, but the annoying clicking sound the keyboard makes when I’m typing is driving me crazy. I’ve searched the menus from top to bottom and I can’t find a setting to disable the keyboards sounds. Can you please, please, please tell me how to do it? 1 – Open the Settings screen, then scroll down and select Language and Input. 2 – Find Samsung keyboard and tap the gear-shaped icon. 4 – Uncheck Key-tap sound. Note: If you’d like to turn off the equally annoying Key-tap vibration, you can do that while you’re on this screen as well. Q&A: How can I access files on my USB thumb drive that were hidden by a virus? Question from Mike D: Rick, a few days ago my Acer laptop running Windows 7 caught a couple of nasty viruses, but I was able to remove them by following the instructions in your great virus removal post. Thanks for the help! Now that the viruses are gone however, I have a different, but related problem. The viruses apparently “hid” all the files on a very important USB thumb drive that was plugged into the PC when the viruses struck. These are documents that I use at school, and I really need to get them back if at all possible. I’m not really concerned about the drive itself. I just need the files back! Any ideas?